NEER North’s president and founder, has been involved with horses for over 40 years. 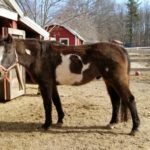 After serving as a board member of a Rhode Island-based rescue, in 2005, she started her own Massachusetts rescue in 2008, which received 501c3 status as New England Equine Rescue-North, Inc., in 2011. 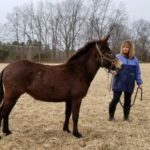 A licensed riding instructor and member of multiple horse-related organizations, Mary works with other equine rescues locally and nationally to advocate for equine welfare and to raise public awareness of and support for rescue activities. 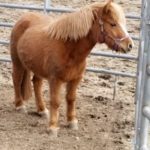 A rider and horse owner, Elena is a Reiki master who works with both equines and humans. She was a board member of the Wentworth Hunt Club from 1990-2001 and served as Wentworth’s president for two years. In addition, she is a longtime board director of International Cars, Ltd. Active in numerous community organizations, she is a former Cub Scout den leader and currently serves on the board of Newburyport’s Theater in the Open. 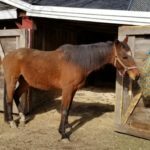 Dave and his wife, Ann, adopted their horse, Ginger, from NEER and have been NEER supporters for years. Dave has held senior finance, accounting and administrative positions in various companies for over 30 years. Sarah has been a friend of NEER North since 2001. 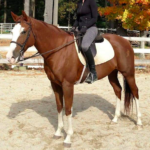 She has served as Pentucket Pony Club’s D.C., is a member of the West Newbury Riding and Driving Club and a lifelong equestrian. 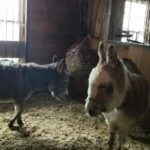 Sarah donates her services as an animal communicator to NEER North’s rescues. Ashley has been riding on the North Shore and beyond for over 30 years. She competed on the Sweet Briar College Intercollegiate Team and played Club Polo at University of Virginia, where she earned a Master of Landscape Architecture degree. Ashley is the West Newbury land captain for the Myopia Hunt and works as Outreach Coordinator for Essex County Trail Association. 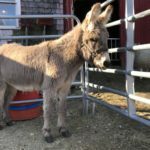 Dr. Derek Cavatorta is a large animal veterinarian and owner of Black Brook Veterinary Services, based in Hamilton, MA. He grew up in Rowley and attended Triton Regional High School. He earned his B.S. degree in Animal Science from the University of Massachusetts before completing veterinary school and a PhD in Immunology from Cornell University. Dr. Derek finds his work at NEER very rewarding and enjoys providing medical assistance for horses in need. Denise has been volunteering at NEER North since March of 2016. 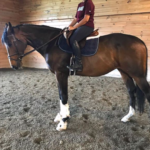 She began riding at the age of 9 as a 4-H member, then later rode low level hunter as well as eventing. During this time Denise owned and trained a number of horses and ponies, all green, while riding with and working for Olana Laffey at Evenstride, LTD. Denise is an established local Realtor and hopes to bring her real estate business sense, sales management skills and horse experience to NEER North in a way that can help the organization and, most importantly, our local equines in need.